Oh, how I wish I had the time to get all the sewing in to make the Novel Suggestions for the Precious New Baby before I had my little girl. Just in case there’s any aspiring mothers, grandmothers, or relatives, here’s some cute 1920’s inspiration for you! 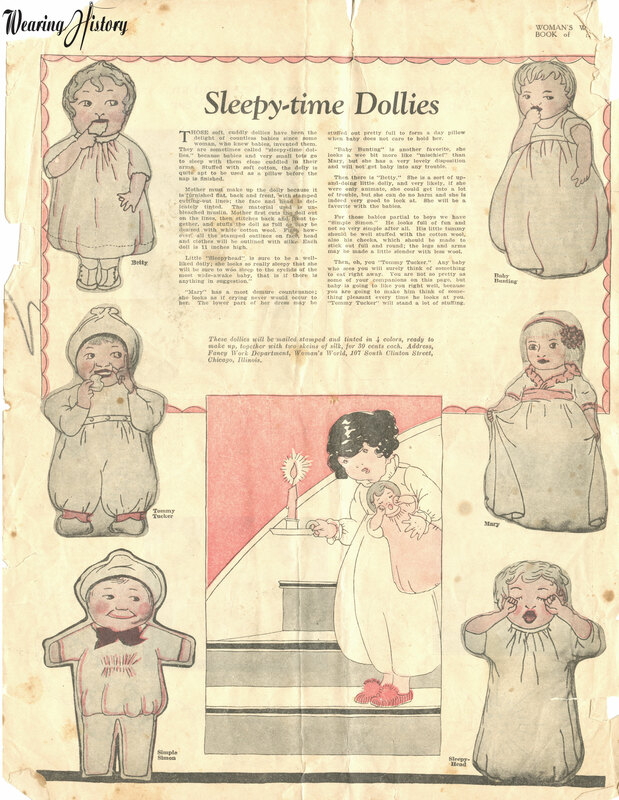 Now that my girl’s a toddler, I still have time for these Sleepy-Time Dollies, however! Originally you’d send away for the designs, but a little creativity and you can make your own design up inspired by these darling and simple stuffed dolls with embroidered designs. I think the yawning one is especially cute! Click on either of these images for a hi-res file to save and print!